Ideal for connecting NEMA 5-15P power cords to a PDU or CPU. Plugs into CPUs and PDUs (power distribution unit). 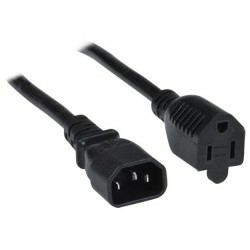 Supply end: IEC 320 C14.